The future of email marketing is here, and we’re excited that Aspire venture Wylei is helping to lead the way. 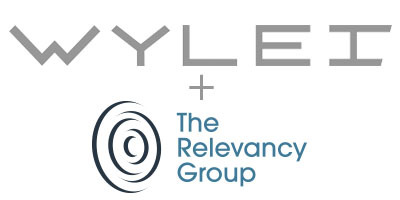 If you want to learn how Wylei’s innovative approach to email marketing is rendering classic tactics like A/B testing obsolete, join our Entrepreneur in Residence Mike Monteiro, CEO of Wylei, and Chris Marriot, VP of Consulting at The Relevancy Group, in a webinar discussion on Thursday, Nov. 19. They’ll be discussing the next generation of tactics that leading email marketers like Dell, Marriott, and Adidas are using to breathe new life into email marketing. With new solutions that are far easier to implement and far more effectual than A/B testing, they’ll explain "Why A/B testing emails is for suckers." An expert in big data, predictive analytics, and machine learning, Mike Monteiro is a leading resource in the Aspire community and he’s keeping Wylei on the vanguard of digital marketing. Chris Marriott is a seasoned expert in digital marketing, a columnist, and a principal consultant at The Relevancy Group. TRG is a well-respected market research and consulting firm dedicated to educating the market on emerging trends and the tactics needed to meet the changing market landscape.